Reality Star Sightings: Todd Tucker, Kandi Burruss, Rasheeda, Teddi Mellencamp, Lisa Rinna, And More! Happy day after Thanksgiving! And Happy Friday! To kick off the weekend we have an all-new reality star photo roundup for you! 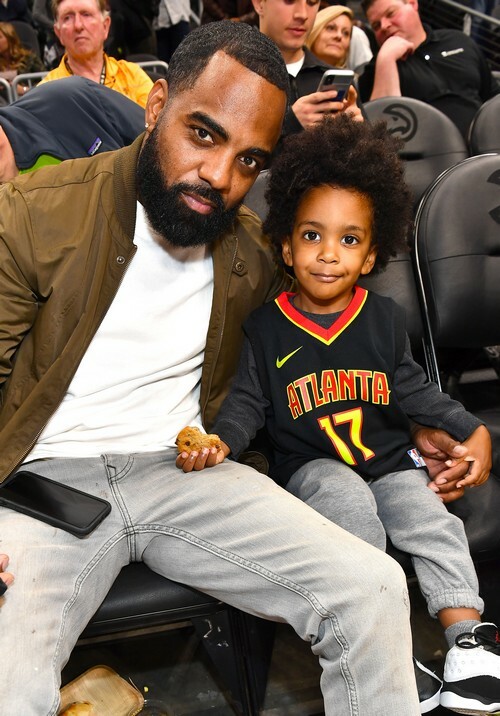 First up, we have Real Housewives of Atlanta star Todd Tucker spending some guy time with his son Ace Tucker. The duo attended the Los Angeles Clippers vs Atlanta Hawks basketball game at State Farm Arena in Atlanta. Ace then hung out with mom Kandi Burruss and big sister Riley Burruss. They were on hand to help out at the 2018 Kandi Cares Foundation Thanksgiving Blessings Fall Fest in Atlanta. Kandi’s BFF Rasheeda was all there to show her support. Your favorite reality stars were out and about this week and of course they documented it all for social media. Shockingly, Real Housewives of Orange County star Shannon Beador posted a photo with soon-to-be-ex David Beador and their daughter after they announced their intent to divorce. Stassi Schroeder shared a picture from her trip to Paris. Kelly Dodd hung out with Chef Ben Robinson. Luann de Lesseps rocked braids and hung out with RHONY alum Kelly Bensimon for a mirror selfie. Real Housewives of Beverly Hills alum Camille Grammer held her own in Washington, DC. The Real Housewives of Atlanta star Kandi Burruss had a lot to smile about this weekend! The reality star, singer, restaurant owner, and songwriter (among the many other hats she wears) was photographed at Revel in Atlanta, where she was showing off her newest achievement: being chosen as the ESSENCE magazine cover feature for October! Kandi‘s Real Housewives of Atlanta co-stars, husband Todd Tucker, and other friends – like Rasheeda and Kirk Frost – turned out to help her celebrate landing the cover. Among them: NeNe Leakes & Gregg Leakes, Cynthia Bailey, the newly married Kenya Moore, Porsha Williams, Mama Joyce, Sheree Whitfield, Kim Zolciak, her husband Kroy and daughter Brielle Biermann, and more! Even Peter Thomas managed an invite. Check out all of the photos below. And then tell us who you think dressed the best for the event. I’m having a hard time choosing. Happy pre-Friday! Last night brought out a slew of familiar Real Housewives of Beverly Hills faces to Venice Beach. In the photo above, Lisa Rinna and her daughters, Delilah Belle Hamlin and Amelia Grey Hamlin attended the TommyLand Tommy Hilfiger Spring 2017 Fashion Show, which celebrated Gigi Hadid‘s new capsule collection. Also spotted there to support Gigi was her mom, Yolanda Hadid (who was spotted posing with Lady Gaga), former stepfather David Foster, dad Mohamed Hadid and his fiance Shiva Safai and of course, sister Bella Hadid, who also walked in the show. We also have photos of other reality stars out and about: Bethenny Frankel, Ramona Singer, NeNe Leakes, Stassi Schroeder, Kenya Moore and others! Check them out in the gallery below! Joseline Hernandez Drops A Major Bomb About Co-Stars Rasheeda And Kirk Frost While Guest Hosting On The Real! Love her or hate her, you can’t argue that the self-proclaimed Puerto Rican princess is highly entertaining. Whether she’s dogging her ex Stevie J. (or “Stevie Lame” as she calls him) or calling out her co-stars, Joseline Hernandez is always over the top. Even though the Love & Hip Hop Atlanta star just had a baby with Stevie (oh the drama between these two! ), she knows she has to keep the cash flow coming. 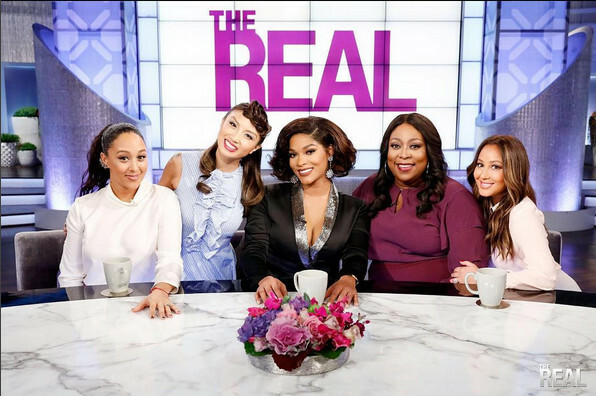 Joseline has cleaned up rather nicely (that’s an understatement, she looks gorgeous) for her recent guest hosting gig on The Real. In fact, she’ll be on today spilling the latest gossip on her co-stars Rasheeda and Kirk Frost. Happy Monday, Reality Tea-ers! Only 20 days until Christmas, in case you weren’t already counting down. 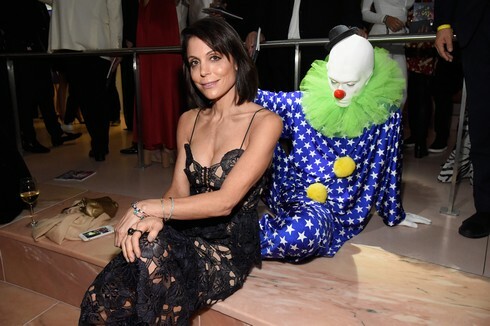 Take a look at what our favorite reality stars are up to: This weekend Bethenny Frankel was in Miami to attend Madonna’s An Evening of Music, Art, Mischief and Performance to benefit Raising Malawi. Lisa Vanderpump and others were in L.A. attending the TrevorLIVE fundraiser. In NYC, Dorinda Medley and Sonja Morgan were seen shooting the same project as Luann de Lesseps, white robes and all. Kandi Burruss and Tameka Harris had some fun at a 90s-themed birthday party and Brielle Biermann even stopped by. Check out these pics and more down below!